“A is for Al….” has three sets. Study room was the first I designed and modeled. 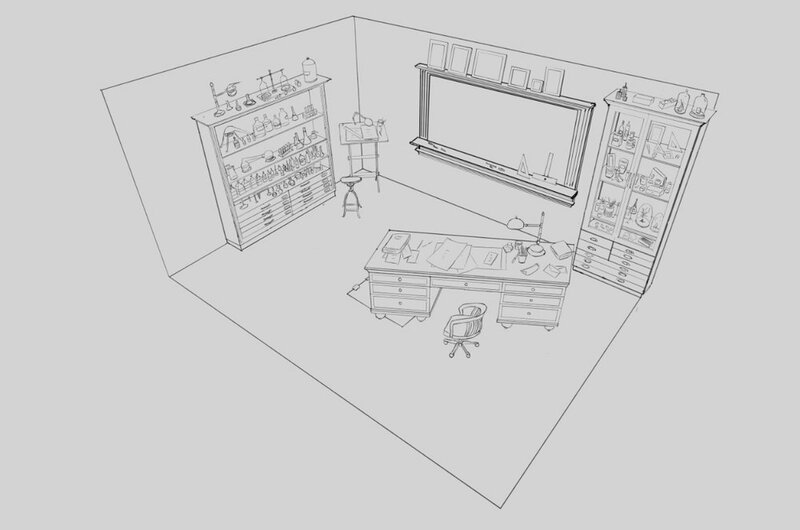 The reason I started with the isometric layout for the concept is that I wanted to see how the whole space would look like and where everything was. I didn’t want to accidentally build models that will not be seen or couldn’t fit the set. Once that was clear, the shelves and table had to be populated with props. I made these quick prop sketches which were used to fill large pieces of the set. I drew them all on a single page so I could see which ones were too far out in design and whether or not they are too complex too build. Since they are space fillers I really didn’t want to spend too much time on them. Prop list that needed to be built to fill the shelves. Set modeling was all done in Houdini. Bigger props were modeled and textured as solo pieces. More care was needed for smaller shelf props. I just couldn’t build every single one of them nor have 100 copies of a single prop as that would just seem boring. 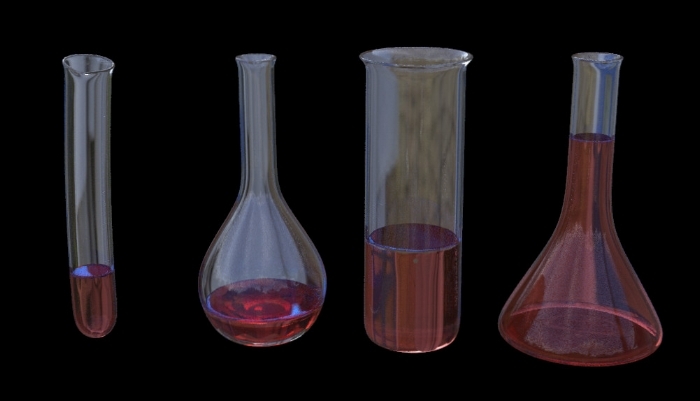 I used Houdini’s procedural approach to build one universal bottle that allowed me to have one base model that with different parameters could look like 100 different bottles or flasks. The flasks on the left shelves are basically all one model with different parameters. If I didn’t like it I just changed the parameter and I would have a different shape. This allowed me to have a full scene without having to build every single little detail or spent enormous amount of time modeling them. Texturing work for the main pieces was mostly done in Substance Painter. I recycled materials whenever possible. 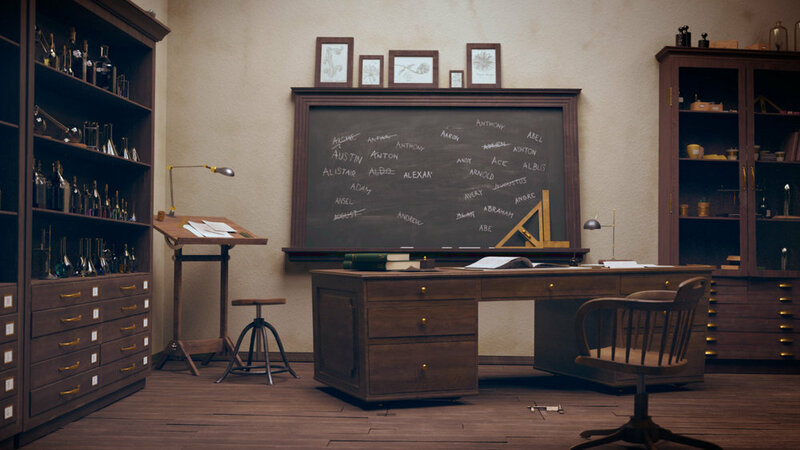 Exception was the chalkboard which was painted in Affinity Photo. I created different masks for washed parts & chalked lettering and then build a material based on those masks in Houdini. Smaller elements had procedurally generated materials made in Houdini where the final images were rendered.